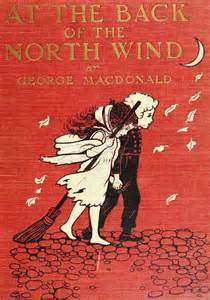 The most iconic images of At the Back of the North Wind come from the 1904 and 1919 editions, illustrated by Maria L. Kirk and Jessie Wilcox Smith, respectively. Smith was the more famous--and arguably more talented--of the two illustrators, but it seems clear that she was influenced by Kirk's work, which was published about a decade before her own. Note in particular the illustrations of Diamond sitting up in bed, attending to a horse, and holding a baby. 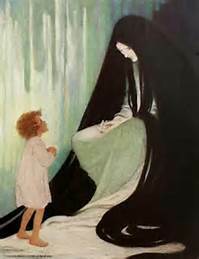 From Wikipedia: Jessie Willcox Smith (September 6, 1863 – May 3, 1935) was one of the most prominent female illustrators in the United States during the Golden Age of American illustration. She was a prolific contributor to respected books and magazines during the late 19th and early 20th centuries. She illustrated stories and articles for clients such as Century, Collier's, Leslie's Weekly, Harper's, McClure's, Scribners, and the Ladies' Home Journal. She had an ongoing relationship with Good Housekeeping, including the long-running Mother Goose series of illustrations and creating all the covers from 1915 to 1933. 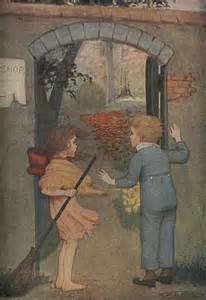 Among the more than 60 books that Smith illustrated were Louisa May Alcott's Little Women and An Old-Fashioned Girl, Henry Wadsworth Longfellow's Evangeline, and Robert Louis Stevenson's A Child's Garden of Verses. Not much is known about Maria Louise Kirk, who was born in Lancaster, near Philadelphia, Pennsylvania on June 21, 1860, and died on the same day in 1938. 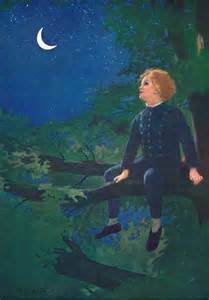 She was a prolific illustrator, however, best known for her illustrations of children's books. For further information and examples of her work, see https://topillustrations.wordpress.com/2014/04/03/maria-louise-kirk/. Older PostOversized to Hold All The Goodness!